A festive act was celebrated last Monday at Fernando Café in Cala d’Or during the Fiestas de Santa Maria del Mar in honour of Don Pep Costa ‘Picarol‘, the founder father of Cala d’Or. At the celebrations were present Margarita Serra Costa, Picarol’s granddaughter, and Elena López-Gil, Don Pep’s Great-Granddaughter, as well as the mayor of Santanyí, Llorenç Galmés, and a number of other political dignitaries. 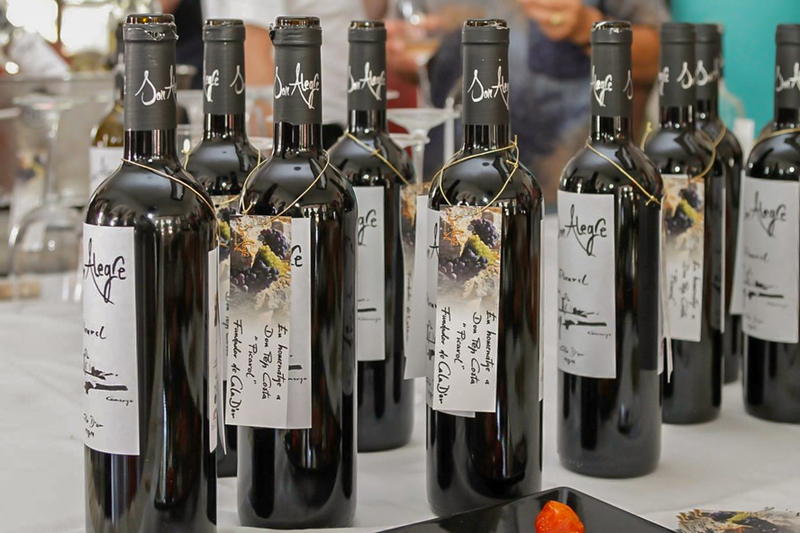 The eulogy was delivered by Miquel Manresa, founder and Managing Director of Vinya Son Alegre, who presented his wine Picarol, named in honour of Don Pep Costa. Picarol 2013 wine is available in Red (Merlot), White (Malvasía/Chardonnay) and Rosé (Merlot, Sirah, Cabernet Sauvignon). The photo was taken by collaborating photographer, John Hinde. The date: August 12th, 2014. Thank you very much.